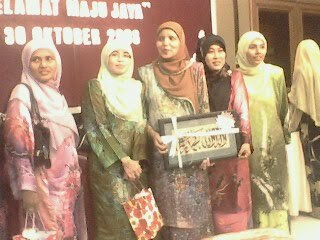 Thank God..Alhamdulillah, We did it,... & tat year 2008 r da best teacher's day celebration 4 ever.. 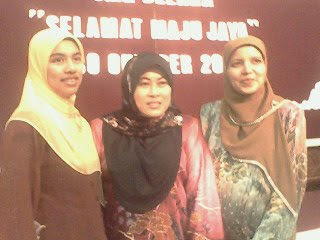 It didnt come out successfully without collaboration with da naughty students.. Who younger than us.. They willing to help us to join da event & do da show like singing & sketch.. Awesome,... They give fully comitments on that events.. So tat, on 16 mei, all da students didnt go out 2 "Rempit" coz they enjoy da show..
Ma frens Wana had upload da video during their practising on youtube,.. So look at this.. They sing a song called kau ilhamku dedicate to da all SM BELARA's teachers..
Dedicate to ma lovely sister & ma brother-in-law coz both of them r teacher..
Also ma lovely teaher, Cgu Nur Arifah, ,. She's amazing n dedicated person..
She's ma amazing teacher 4ever..cgu Nur Arifah..
Also in memory, ma primary skul teacher (SK BELADAU KOLAM)..
Im gonna miss them a lot.. 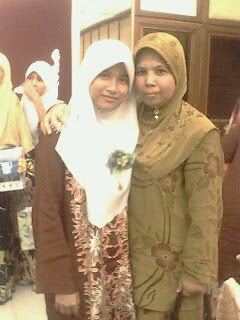 There's so much lesson tat i learned from them.. They teach us... Then we shud practice it in our daily.. Sorry if i couldnt mention each name here.. Coz i've got confiusing here to remember all da names...But im always remember their sacrifies to c all their students comes out successfully..
that is my siblings in that video..bangga!! !